LAFAYETTE, Ind. 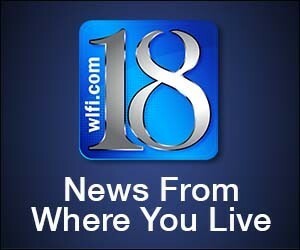 (WLFI) – Greater Lafayette’s LGBT community held a town hall Monday evening to give people a chance to ask questions and talk about their experiences. The event was aimed towards lesbian, gay, bisexual and transgender families and their children. Parents as well as panel members said that the real victims would be children who are being turned away from jobs, restaurants and stores. Another topic was the kids who are in foster care and orphanages, who aren’t being allowed to be adopted into capable LGBT homes. “We have to insure that parents can’t just lose their jobs or their homes. They can’t just be turned away from a restaurant or a store. That they have elected officials that believe in them. That children that are in foster care have the best chance at finding a loving qualified home,” said Gabriel Blau, executive director of the Family Equality Center. Panel members encouraged attendees to vote for more qualified political representatives. A representative from Freedom Indiana was at the meeting to help people register to vote. Read the full story at WLFI by Ryan Delaney at http://wlfi.com/2015/04/07/lgbt-families-speak-their-concerns/ .